Wondering how to be a great mentee? How do you start? What do you do? We are here to help. 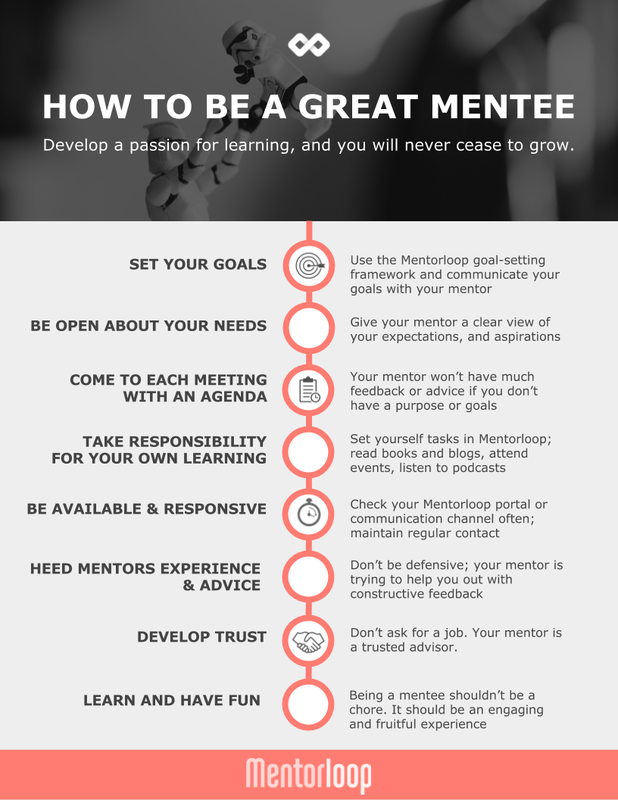 Check out and download the 'How to be Great Mentee' one-sheet below. It'll outline the steps and best practices that will make you the mentee you were born to be.